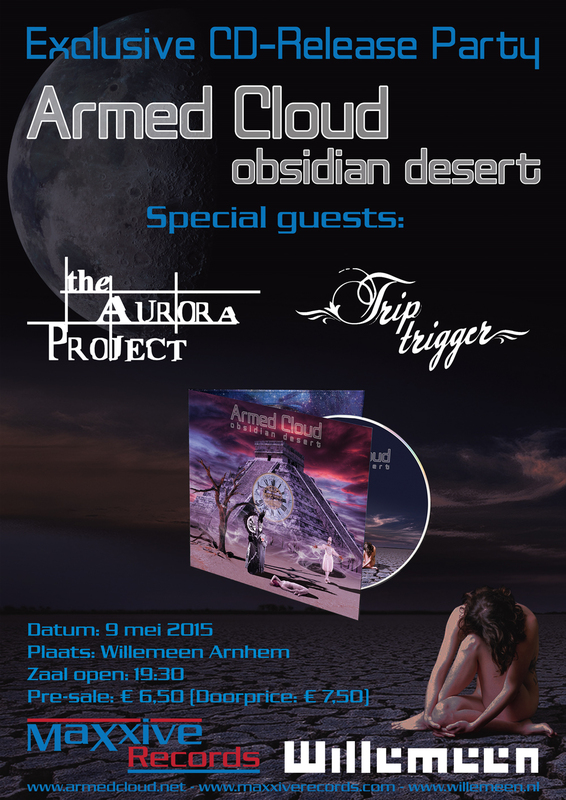 On May 9th 2015 Armed Cloud will release their debut album “Obsidian Desert” to the public! The first band to support them was already confirmed: The Aurora Project. Right now we can also confirm the second band! 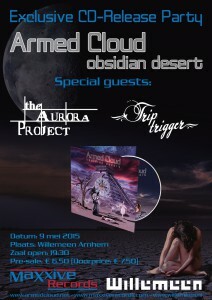 Trip Trigger will be opening the evening! As of today, March 12th 2015, the pre-sale for the releaseparty is started! Tickets will be € 6,50 during the pre-sale and € 7,50 at the venue itself. Pre-sale will and on May 2nd 2015! Tickets can be ordered directly in our webshop here! Be sure to be there! It’ll be an amazing night!